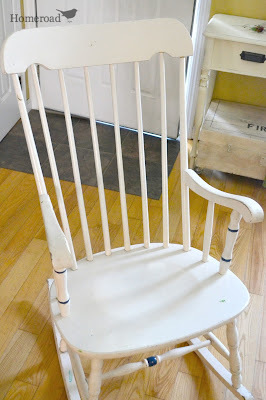 the existing white paint with no sanding or priming. tell you what a pain it is painting spindles? the color darkened to a beautiful shade of navy blue. The next thing this little beauty needed was a chair cushion. I painted stripes to resemble grain sack across the fabric. are just the right touch. 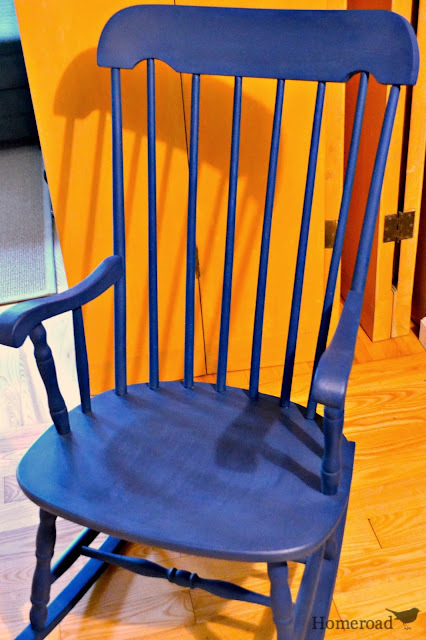 The make-over for this rocker is complete! 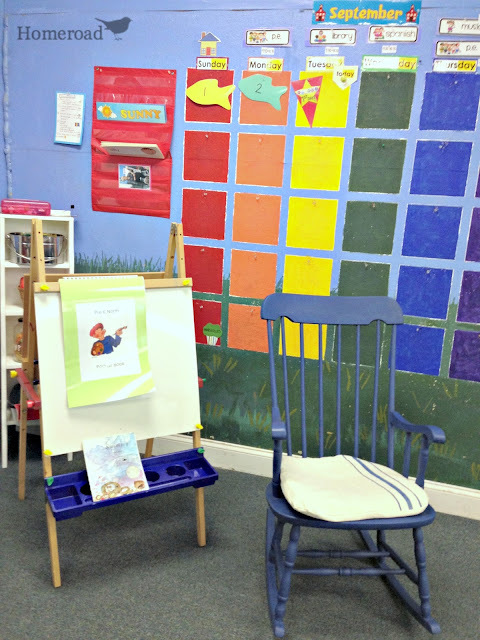 be the new "teacher chair" in my classroom. 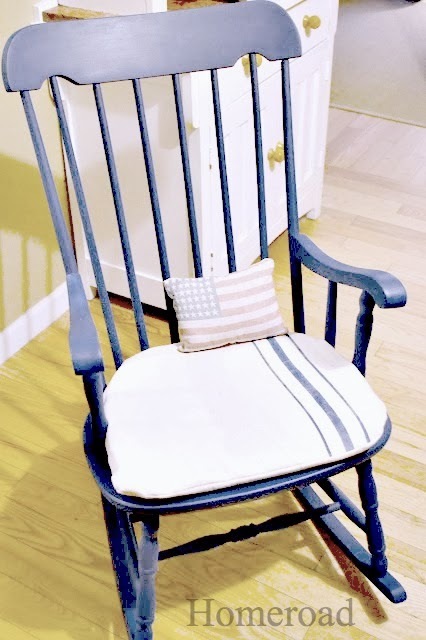 Many a children's story will be read from this rocker. Now in Brooklyn and Huntington! 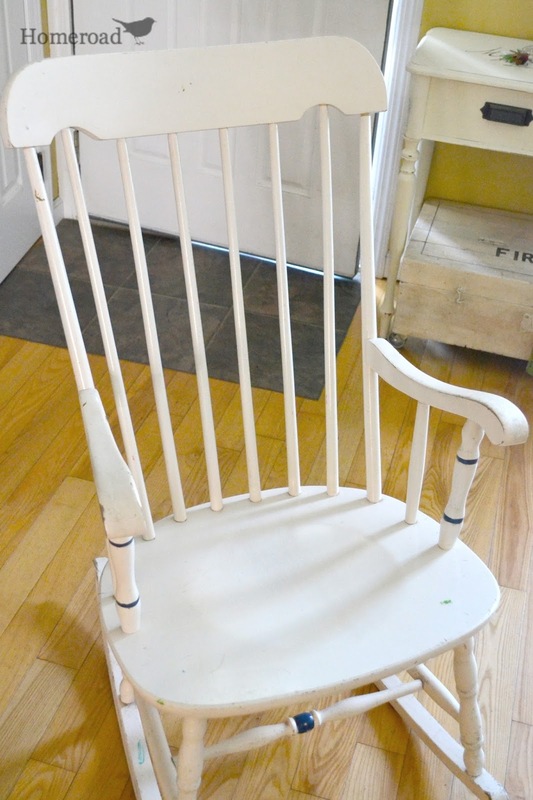 What a fun rocking chair. I love the blue, and the cute cushion just seals it off! 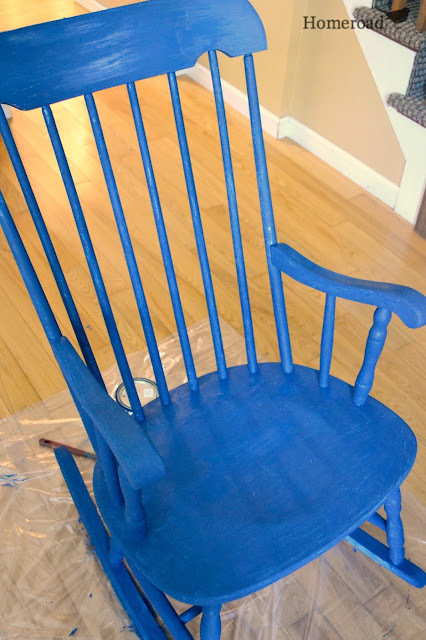 The chair looks terrific! Love that it gets to go to school with you. Now to paint spindles use a sponge you can hold in your hand. Then put paint on hand held sponge and wipe the spindle. There they are done. Much easier. The teacher who thinks out of the box gives kids permission to do the same. Excellent. I love how you painted the drop cloth to look like a grain sack, brilliant I say! pinning because I LOVE this rocker... the color, the cushion... everything about it!